Land of Lakes I love water, so what more can be said? Near it, under it, on it. 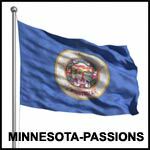 pantyboy70 is not a member of Minnesota-Passions.